The school’s endowment grew under his tenure from $50 million to $406 million, and Tulane’s net worth increased from $190 million to $610 million, according to news reports at the time of Kelly’s retirement. In the age before the Internet, combined with the fact that I was mostly deployed on a submarine with even less connectivity to the world, that was a major stunner. I think it even made the little one page daily synopsis of the day's news while underway. See, it's interesting, because all the folks who were here when he killed the program seem to still harbor the resentment and think of him as a sports hater almost like Cowen, but as someone who came to Tulane after that (or, ahem, BECAUSE of that), and only knew him in the rebirth, he was a great guy and was very pro-basketball. He always was very kind to us, and in fact, he and his wife sat with my parents at a game in Louisville once, and after that they sat with them every time they (the Kellys) were able to make the trip up there. My mom made custom painted wood "bacon wave" lapel pins that she and my dad wore to the games, and Mrs. Kelly always admired them, so for the graduation party at the President's mansion, my mom sent them to me to give to the Kellys as a gift. Didn't hate on the man. Wrote him a couple of times and got replies. Was in the Middle East when it came down with the story covered in the Arab Times. Not being around US papers excepting the International Herald Tribune didn't get much info at all. As TUPF said 'it was a major stunner'. That's all. Had he not ended the program, we probably never would have come back as strong as we did under Perry Clark. 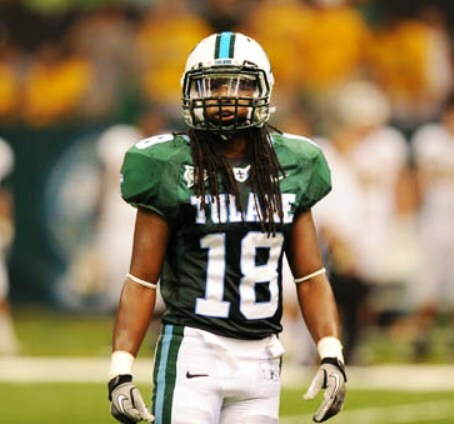 Like TUPF, I did not get good information about what was going on, but I took it as a matter of pride that Tulane had the integrity to punish itself, rather than execute all sorts of sidestep shenanigans the way other programs do when caught breaking the rules. I know several big fans of SEC teams who said that it took balls to do it, but it showed a lot of honesty and well-placed values. It wasn't until later years that I heard history-revisionists saying that we had been given a "death penalty." I tend to get very riled up over such misrepresentations. Did Tulane see the (rights to) the hospital (TUMC) during that time frame. That is a totally thankless job and he was always very even tempered and one never got the impression that he was doing us a favor to be here. He and Mrs Kelly were a great part of community.